A full integration is in place with Hargreaves’ Stirling Solutions back-office Transport Management System meaning that planned collections and deliveries are automatically pushed through to the JobWatch system. On logging on to the JobWatch app at the start of each day, Drivers are guided to start their timesheet, conduct a walkaround check that meets DVSA requirements (recording, photographing and alerting any defects) and have instant access to the day’s run manifest. The JobWatch system is saving the company hundreds of thousands of pieces of paper annually and has significantly improved back-office administration. Drivers used to amass multiple paper forms for each delivery and collection including delivery notes and weighbridge tickets. On return to the office, these required manual processing including scanning, filing and sending the originals back to the customer. With JobWatch, the workflow is paperless. Drivers receive accurate loading and unloading instructions, site staff complete the ‘sign on glass’ POD, and a time, date and location watermarked photo of the weighbridge ticket is captured by the driver. Proof of service is instantly relayed to the back office allowing for prompt invoicing. 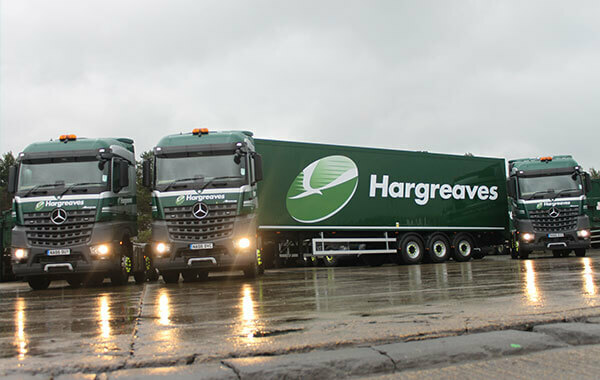 In addition, Hargreaves Logistics are benefiting from 24/7 on-demand RoadCrew customer service for all back office users and drivers including remote support and management of all tablets. Drivers’ use of the timesheet and expense functionality on the app allows the Finance team to efficiently allocate costs to vehicles and drivers and run payroll. A timesheet reconciliation report combines drivers hours, tachograph information and vehicle tracking data. At the end of each journey drivers view their behaviour score allowing them to track their personal driving improvements and ranking.